By 1944, Arlington Hospital (now Virginia Medical Center) had assembled 115 physicians practicing in 16 specialties including allergy, cardiology and proctology. Among them were several women, and at least four African-Americans. However, the hospital had segregated wards and services to black patients were limited. African American mothers were barred from the hospital’s maternity ward and were expected to travel to hospitals in Washington, D.C. or Alexandria to give birth. For many black Arlingtonians, getting to D.C. was difficult – especially in a medical emergency – as many could not afford cars of their own. Freedmen’s Hospital, located on the grounds of Camp Barker at 13th and R Streets, NW, was the only federally-funded health care facility for blacks in the nation when it was first built in 1862. It was the forerunner to the modern Howard University Hospital. However, it was not particularly convenient for Arlingtonians. The company’s first taxis were Chryslers and many of the drivers were off-duty black fireman that lived locally. “It started off a non-radio company, then cars soon became radio dispatched,” said William Collins, Jr., another of Ralph Collin's grandsons. Friendly Cab Company didn’t just service Freedman’s hospital. Drivers would take passengers to destinations all over the region, including Johns Hopkins Hospital in Baltimore. 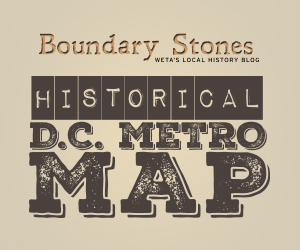 But, if a Friendly cab delivered a fare to an address in Alexandria, he was not welcome to return to Alexandria later to pick up his passenger and bring him back to Arlington due to segregation in Alexandria. As Darryl Collins explained, “It was a very significant thing, to see a black man at the time who had enough innovative ideas for betterment.” Indeed, Ralph Collins had many innovative ideas to serve the neighborhood. An accomplished entrepreneur, he opened Friendly Restaurant, Friendly Hair Salon (with his wife) and sold blocks of ice and sold coal along the same street where his cab company is based. He was also very tied to the community and would donate money to the churches and local softball teams. According to the family no one is quite sure why Ralph Collins elected to call his businesses “Friendly” but, given the history, the moniker seems appropriate. Today, the Friendly Cab Company is still owned by the Collins family and continues to serve Arlington residents. It is a family business in the fullest sense. After Ralph Collins' death, his son William Collins, Sr. ran the business until the mid 1990s, when it passed to William Collins, Jr., who ran it with help from Charles Collins and, later, Darryl Collins. According to Darryl Collins, “We find we still have preference from customers for Friendly Cab over other companies.” Considering the company’s role in serving Arlington’s African American community at a time when others didn’t, that loyalty seems appropriate. Thanks to William Collins, Jr. and Darryl Collins for sharing the Friendly Cab Company’s unique family story. Also, special thanks to Susan Cochraham who helped clarify the Collins family genealogy and each individual's contributions to the company, and correct errors in an earlier version of this article. “Arlington Hospital: The First 50 Years,” 1994. Shaver, Les, “Crossing the Divide,” Arlington Magazine, Nov 2013. Perry, Nancy and Nigel M. Waters, “Black Entrepreneurship in Segregated Arlington County, Virginia.” Urban Geography, Volume 33, Issue 5, 2012: 666. Alexandria's Earl Lloyd was a rising basketball star in the late 1940s, but he had no idea he would become an important part of sports history.